Single malt Scotch whisky is becoming increasingly popular all over the world and local whisky lovers can savour some of the world’s top selling single malt whiskies at the 2012 FNB Whisky Live Festival in Durban (1-2 November) and Johannesburg (7-9 November). Whisky is a complex and versatile spirit that offers a unique tasting experience. The true character of a good whisky comes through after some time, so it is important not to drink it too quickly and savour the variety of aromas and flavours. When asked what in his opinion makes a great single malt whisky, Glen Grant Master Distiller Dennis Malcolm said: “Quite simply: Scotland. A superior single malt whisky is the result of the land on which the whisky is produced and takes its ingredients from. A combination of highland spring water, yeast and malted barley, all from Scottish fields, and matured in an oak cask are the unique elements that create a seductively smooth taste, rich, fruity tones and a golden hue. 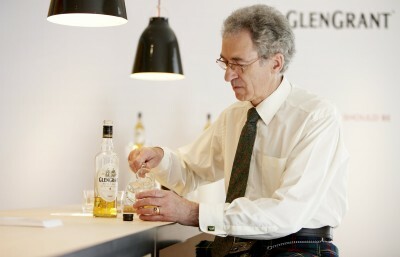 Glen Grant is a perfect example of this.” The following tasting guidelines will help novice whisky drinkers to enjoy a memorable whisky experience: Start by appreciating the colour of the liquid in the glass as each single malt whisky has a unique colour developed during the time it is matured and stored in oak casks. Delicately nose (smell) the whisky by placing your nose a few inches away from the glass. Keeping your mouth slightly open will help you to better discern and 'taste' the different aromas. Tilt and turn the glass to allow the whisky to coat the glass. This increases the surface area, permitting greater evaporation and thus enhancing the aroma. Observe the consistency as it sticks to the sides of your glass, which is called legs. Two things cause legs: alcoholic strength and natural viscosity. Sticky, full-bodies whiskies will have longer legs that take more time to slide back to the whisky, while lighter whiskies have less prominent legs. Take a sip. Take just enough to . . .
GIPCA’s ground-breaking Live Art Festival will take place in various venues around Cape Town from 30 November to 4 December 2012, and promises a plethora of provocative and memorable experiences for audience members. The Live Art Festival, presented by the Gordon Institute for Performing and Creative Arts and subtitled ‘Make-up your Mind’, seeks to be a space for interrogation and exploration of contemporary art forms. Embodying themes of presence, identity and gender, the inaugural Festival comprises 30 artists who emerge from a wide range of fields and often collapsing disciplinary boundaries. This sprawling series of events will take place in various venues, including the Cape Town City Hall, UCT’s Hiddingh Campus, roadside pavements, a farm and an empty swimming pool. ‘But is it art?’ must be the mantra of our time - both an earnest question and a cliché that inspires irritation and impatience. Conflicting ideas about how we perceive and not just what we perceive, the collapse of established systems based on prejudice, and postcolonial subjectivities; have all contributed to a healthy and robust bewilderment around contemporary art, particularly that emerging from South Africa. Translate that into performance or live art, and the risks are greater, the innovation sharper, the boundaries barely discernible and the befuddlement bordering on vertigo. Now more than ever before, the point of view of the individual spectator is most important in their encounter with fresh work that sits on an edge. Uncles and Angels, a headline performance by live art diva Nelisiwe Xaba and experimental filmmaker Mocke J van Veuren, typifies the essential interdisciplinary nature of the Festival. When featured at Dance Umbrella this year, the work was described on Artslink.co.za as “uncomfortable... but done with intelligent intent, wry humour, a superb partnership and brilliant technology”, heralding what will “surely become a signature work in years to come”. The . . . Visitors to Kirstenbosch National Botanical Garden have enjoyed lazy summer Sunday afternoons listening to the best in local and international music over a number of years. The 2012/2013 season of Old Mutual Summer Sunset concerts promises to be a year of memorable musicians, not least because it is a celebration of 21 years of concerts and the Centenary of the Garden. World renowned, the concerts are on most tourists’ agenda as an opportunity to see a Garden that offers a taste of the Cape’s floral heritage in all its beauty; to soak up an atmosphere of congeniality and enjoy world-class music under the shadow of Table Mountain. This coming season launching on Sunday November 25, 2012 through until April 7, 2013 brings with it music that transcends all ages and genres. This Sunday afternoon tradition is one of the experiences that make Cape Town so unique – the chance to experience the best artists performing in one of the world’s most beautiful places. 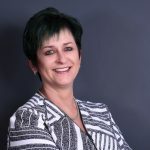 Says Frank Brooks, Sponsorship Manager for sponsor Old Mutual: “This season marks the fifth year we have been a part of this iconic Cape Town event. We are immensely proud that the Old Mutual Summer Sunset concerts have become a staple on the local and international tourism calendar, and that we as a brand can help these artists do great things on such a prestigious stage”. For the popular groups, and the exciting new performers in the country, it is a mark of achievement to have been on the Kirstenbosch stage - and to be invited back. This year’s line up welcomes back old favourites: Mango Groove, Zebra and Giraffe, Prime Circle, Arno Carstens, The Parlotones, Jimmy Dludlu, Freshlyground, Goldfish and Natasha Meister and introduces some hot new acts that will thrill their audiences. Opening the season on November 25 is international star and UK based Daniel Bedingfield. His pop wizardry is renowned, award winning and seriously funky. 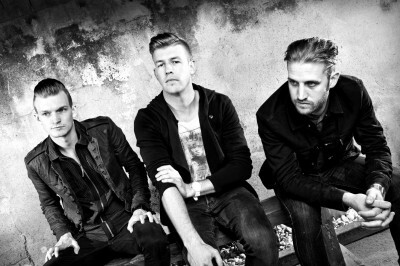 Having previously charted #1 in South Africa expect to hear some new material . . .
JOHANNESBURG, South Africa, 15 October 2012 Eastgate shopping centre’s annual Look of Fashion event will take place again in November. One of the most prestigious modeling events to take place at any shopping centre, it is also one of the longest running and renowned launchpads for many aspiring models. Two previous winners, namely Tansey Coetzee and Bokang Montjane, went on to be crowned Miss South Africa after winning the Look of Fashion title. Celebrities that have entered in previous years include Claudia Henkel, Shashi Naidoo , Rosette Mogomotsi and previous runner-up, Celeste Khumalo, who was crowned Miss SA Teen in last year’s competition. The event’s call for entries opens from 15 October and closes 26 October, 2012. Entrants need to be 18 years of age and not turn older than 25 after 1 November 2012. Entry forms are available at Eastgate shopping centre Customer Service Desk. Entries must be completed with two photographs attached; a head and shoulder shot and a full length shot, and handed in at Eastgate Centre Management, situated at Entrance 8. Thirty semi-finalists will be invited to a screening process, whereby twelve finalists will be selected through a judging process. Semi-finalists will be advised after the 26th of October 2012 deadline and need to be available on the 4th of November 2012. The final show, featuring all twelve finalists, will take place at Eastgate shopping centre on the 16th of November 2012. The show will be choreographed by Juanita Daniel, well-known international Fashion week choreographer. The Look of Fashion winner for 2012 will win a trip overseas to further her career internationally with Full Circle Model Management, owned by Janez Vermeiren and Paul Coetzee. For more information visit www.eastgateshops.com or contact the Customer Service Desk on 011 479 6000. Visit Eastgate-shops (Facebook fan page) or follow Eastgate on Twitter @Eastgateshops for the latest news on promotions and . . .
For anyone in the film and events industry achieving that “wow” factor for the production is the ultimate objective. From pyrotechnics, confetti cannons, bubble machines, artificial snow or the familiar smoke machines – all of these special effects have to be handled by experts in the field. This sometimes means seeking a number of suppliers and managing them at the event – stressful to say the least! With more than 20 years in this highly creative industry Visual Creations/Design a Balloon has been offering these innovative options to their clients with enormous success. Having seen how important the addition of special effects has become, Managing Director Vincent Shantall has now opened a new division dealing exclusively with this aspect. Travelling regularly overseas to find new products, Shantall can source whatever is required and also offers the personal service of importing specific machines requested by a client. Add to that the added value of the décor division and this is a one stop shop for film producers and events organisers. 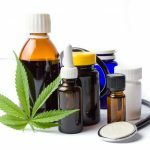 Constantly upgrading and adding new products to the extensive catalogue that he offers, Shantall understands that the industry demands bigger and better ideas on a continuous basis. Adding the “wow” factor with effects such as multiple laser effects, star curtains and many more has resulted in him securing four exclusive international agencies for the more unusual and fun products. As a registered pyrotechnician he has travelled the country with effects suitable for film and theatre productions, festivals, conferences, launches, parties and smaller events that may take place in clubs, homes and pubs. When hiring the machines a team of fully trained staff handle all the operational aspects relieving the production crew’s stress and ensuring that the audience is given the best experience. In certain cases clients can dry hire the products with full instructions supplied. Respected for his clever and creative . . .
Whisky lovers can savour some of the world’s top selling single malt whiskies courtesy of Glen Grant during the 2012 FNB Whisky Live Festival taking place for the first time in Durban on 1 and 2 November and in Johannesburg from 7 to 9 November. Glen Grant Master Distiller Dennis Malcolm, will personally guide visitors through a magnificent journey of discovery of the Glen Grant portfolio of easy-drinking malt whiskies. With some 50 years’ experience in the whisky industry, Dennis manages and directs Glen Grant with uncommon passion and an unrivalled knowledge of the industry. Don’t miss the opportunity to experience a taste of Speyside Scotland and the rich history of Glen Grant at the Glen Grant Distillation Zone where you will be able to savour a taste of the Major’s Reserve, the 10 year and 16 year olds. Entry is free and works on a first come, first served basis. 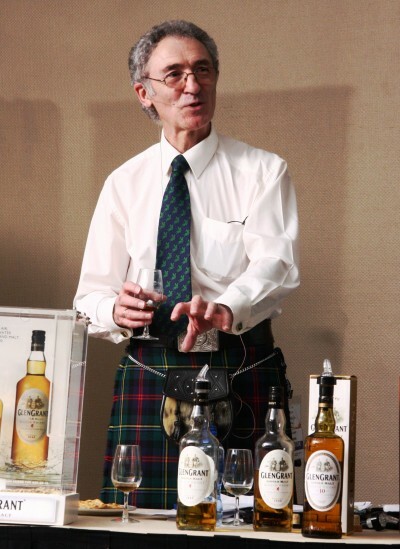 Whisky connoisseurs might want to opt for a dedicated hour-long whisky workshop with Dennis Malcolm on Friday, 2 November (19h30-20h30) in Durban or on Wednesday, 7 November (18h30-17h30) and Friday, 9 November (20h30-21h30) in Johannesburg. Limited tickets are available at R120 per session. For more information and bookings visit www.whiskylivefestival.co.za GLORIOUS GLEN GRANT Whisky lovers can savour some of the world’s top selling single malt whiskies courtesy of Glen Grant during this year’s FNB Whisky Live Festival. Showcasing whiskies from all around the world, the FNB Whisky Live Festival is the largest, whisky and lifestyle event of its kind and attracts more visitors than any other whisky festival globally. Now celebrating its 10th year, the 2012 FNB Whisky Live Festival has grown from strength to strength and will now be launching a whole month earlier to accommodate a third leg to the show in Durban. Glen Grant Master Distiller Dennis Malcolm, will personally guide visitors through a magnificent journey of discovery of the Glen Grant portfolio of easy-drinking malt . . . Kicking off with a weekend of gallery launches, classical music, open gardens at their spring best and a potters’ market, the annual ART IN CLAY series of ceramics exhibitions in Franschhoek runs from 27 October to 16 November 2012. 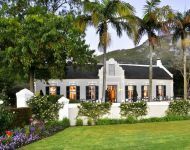 Participating galleries include Artefact, The Ceramics Gallery, Ebony, The Gallery at Grande Provence, IS ART and the La Motte Museum. These galleries will all be hosting unique exhibitions and talks, with work on display by famous women potters from our past, Franschhoek artists and some of South Africa’s leading ceramicists. ART IN CLAY is the brainchild of one of the doyens of SA porcelain, Franschhoek resident David Walters, who recently won the Merit Award at the Ceramics SA National Exhibition in Pretoria. Over the opening weekend, 27-28 October, the Cape Craft and Design Institute will partner with the local Lions Club to host the potters’ market in front of the Franschhoek Town Hall, as part of the Lions Open Garden Festival. A fine variety of craft-art, functional ceramics and porcelain by Western Cape potters will be on sale to the public. This weekend also hosts the Franschhoek Classic Music Festival in various venues around the town. The line-up includes lunch and dinner concerts featuring Daniele Pascal, Albie van Schalkwyk, Christopher Duigan, David Saleras, Maxine Matthews, Beverley Chiat, Federico Freschi, Zorada Temming, the Simunye Choir, Stanislav Angelov, Willie van Zyl, Guy Deacon and Charles Lazar. For more information on the Art in Clay festival, contact Michelle Walters on 021 876 4304 or email waltware@mweb.co.za. More Info: Author: Fiona Gordon from The Famous Idea Trading Co. Originally distributed by MyPR.co.za. No of Images Uploaded: Two To gain access to Two image/s please Like, Tweet or +1 this article: [l2g] Images: La Motte Gallery. David Walters Piece. [/l2g] . . .
Join Howard Booysen, Jurgen Gouws, Craig Hawkins and Johan Meyer as they present their wines at this unusual evening. None of these winemakers own their own vineyards, they each source grapes from the areas that have ignited their passion and are deftly crafting wines in borrowed spaces and using natural processes. We guarantee the wines will be full of surprises! Chef Roland has donned his bush hat to whip up a four course dinner with each course carefully paired with one of the outstanding wines these bright young winemakers have produced. The winemakers will also offer post dinner tastings of their additional wine labels. A journey of discovery with young winemakers who are making their mark with their innovative principles. Howard Booysen has been mentored by the finest and his approach to wine and his ideas place him firmly as a “guide” in this wine journey. Working with the more old fashioned varietals such as Riesling and Cinsault guests will enjoy his HB Riesling 2011. Howard sees these older varietals as opportunities for the modern wine drinker. Knowing the Riesling varietal well, and with his passion for food, aromas and age-able wines, he was convinced that Riesling was what he needed to make. His debut vintage saw him receiving accolades in Australia, South Africa and across the world, underlining his confidence in this varietal. “JH Meyer Signature Wines” sprang into existence in 2011. Using his extensive experience of producing some of the best wines in the world, Johan Meyer put his knowledge to the test by crafting 1000 bottles of Pinot Noir which achieved best in its class. Guests will enjoy the Pinot Noir 2011 vintage with the dinner. Now he has launched his own company and, as a small boutique wine producer of hand crafted natural wines he selects grapes from small vineyards in the south coast region of South Africa. Operating out of Meerhof Winery in Riebeek Casteel and part of the Swartland Revolution, Johan’s pedigree is enviable – . . .
G&G Productions is already hard at work producing bigger, louder and safer celebrations for youth across the country as planning for the Vodacom 4U Rage Festival 2012 gets underway. Students across South Africa are set to take over the coastal towns of Umhlanga, Ballito, Durban and Plettenberg Bay to unleash the stresses of their matric and university years in November and early December, at one of the biggest events of the year. 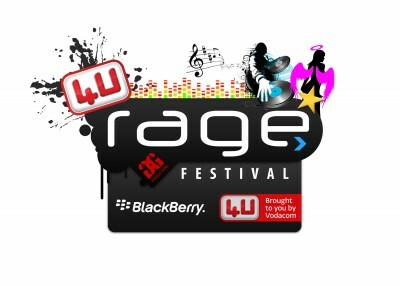 2012 marks the 11th year of G&G Productions running the Vodacom 4U Rage Festival, which is once again backed by the power of Vodacom 4U and BlackBerry. With these Generation Next award-winning brands on board for their second year in a row, G&G Productions will again be bringing their A-game party arrangements and meticulous safety planning to South Africa’s youth. Greg Walsh, Managing Director of G&G Productions says, “Our goal every year is to make Rage an unforgettable experience for everyone involved, be it those who attend the events day and night or our partner brands who bring unbelievable value and unique experiential touch-points to the youth each and every year. The G&G brand promise of being “South Africa’s loudest event brand” is something we are very serious about so we are always looking for new ways to impress our audiences.” Since its first year in 2001, Rage-goers have increased from 8000 to a whopping 120 000. “We are expecting a footfall of 135 000 this year,” says Walsh. “We pride ourselves on providing the ultimate let-loose experiences at beautiful coastal hotspots so that students can experience the South African version of America’s ‘Springbreak’ (hosted by Cancun in Mexico).” Walsh is quick to highlight that the majority of G&G’s resources go into complying with stringent international safety requirements and providing new ways to keep partygoers safe and secure at the 4U Rage Festival. “All 4U Rage Festival events comply with the latest Health and Safety Act of 2011. We are . . .
UCT Jazz Voices directed by Amanda Tiffin presents what promises to be a thrilling and unique concert for GIPCA’s Music in the City programme, on 24 October 2012. The highly acclaimed jazz vocal group will perform well-known jazz standards and South African favourites arranged for jazz choir. 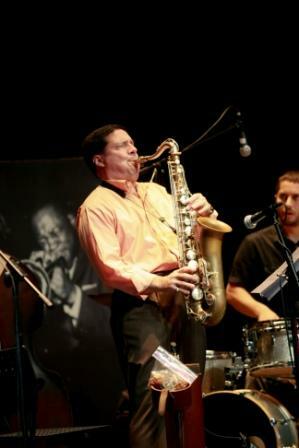 They will be joined by woodwind specialist Mike Rossi who has recently returned from two European tours that included performances in England, Austria and Italy. The programme will include items such as As Time Goes By, Don't Get Around Much Anymore, When I Fall In Love (featuring the vocal ensemble with rhythm section), and a choice of a cappella songs. They will also feature South African composers such as Themba Mkhize and Busi Mhlongo, and some surprises from the 21st century pop repertoire. The UCT Jazz Voices comprise five of the best Jazz Singing students at UCT, under the leadership of well-known jazz artist, Amanda Tiffin. This small vocal ensemble was established in 2010, primarily as a learning tool for students of Jazz Singing, but they far exceeded expectations and quickly become a top class jazz vocal group in the tradition of the Manhattan Transfer and the New York Voices. Offering an exciting blend of close harmony in the old jazz tradition, and youthful energy, the UCT Jazz Voices perform a range of repertoire from jazz classics, South African standards and re-imaginings of current radio hits. The ensemble was selected as the best UCT Jazz Ensemble in 2010, and they have continued to impress with their excellence an d professionalism in a variety of contexts. They performed for Symphonic Rocks in Cape Town and Johannesburg in 2011 and 2012, backing 12 top SA Artists, alongside a 60-piece orchestra. The group was invited to perform their own concert as part of the Jazz at the Nassau concert in 2011 and 2012, and appeared as special guests on the annual Jazz in The Park concert and at St George’s Cathedral as part of the Raise the Roof concert . . .